Even the name of this event ‘Lakes in a Day’ seems to build it up as something special, an epic experience and I was not disappointed. 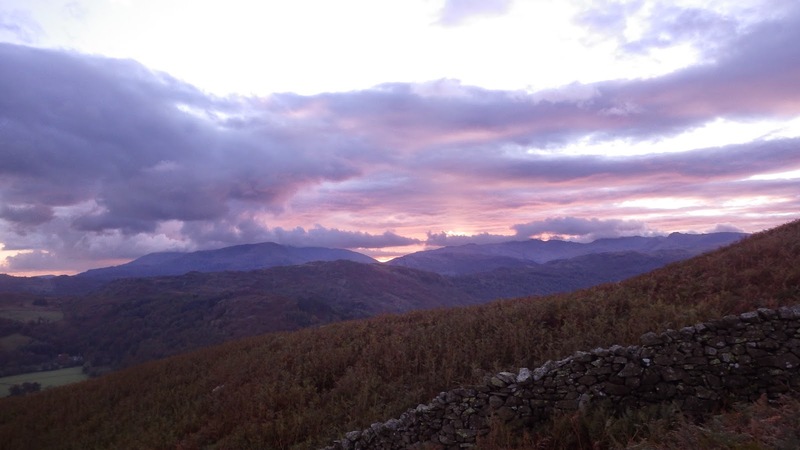 October 2014 was the inaugural running of this event, a 50 mile course taking in some of the highest peaks in the Lake District and a good variety of other terrain. 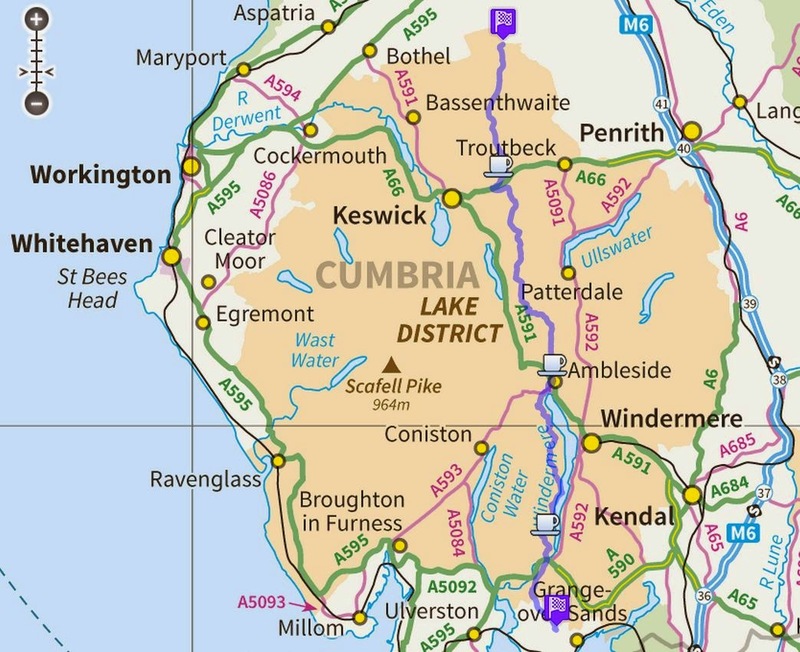 The course stretches from the very top of the Lake District National Park at Caldbeck, up and over Blencathra and Helvellyn before dropping down to Ambleside and following the shores of Lake Windermere from north to south before finally ending up in Cartmel at the southern tip of the Park. Along this serious route a whopping 4,000m of climb is accumulated. Together with a seriously technical descent down Halls Fell Ridge and a section of open route choice this is not a race to enter unprepared. 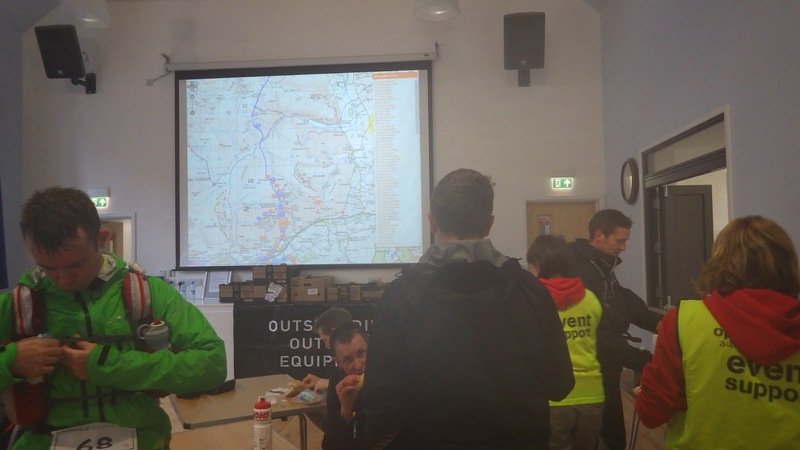 The weather in the Lakes can be unpredictable at any time but certainly holding the event in October means that there is more than a small chance of bad weather playing a part in proceedings as the day unfolds. This was to be the last of my ultras for this year. I have already run four ranging between 35 and 75 miles so ‘Lakes in a Day’ seemed like a suitably grand season finale. With a good deal of mountain experience under my belt I didn’t foresee the need to prepare to a great degree in terms of kit and route planning. I have more of less concluded what works for me and what doesn’t over the last few years so took this race as an opportunity to have a bit of an experiment to see which of my normal rituals and routines were worthwhile and which would I miss. For this race I made the conscious decision not to take trekking poles (having relied on them heavily in the Alps in August) and I also decided to try to pack a little light and rely on the food at checkpoints more than usual. I have done Open Adventure events before so I knew that I wouldn’t go hungry! One thing I have struggled with a little is running out of energy on the climbs, not surprising I guess given the amount of vertical ascent to be tackled! I thought I would try out some energy gels for once as I normally avoid them, finding them sickly sweet and unpalatable after the first couple. Another first for me this time was to travel to the event by train. Conscious that the M6 is not a good place to be on a Friday afternoon I thought I’d give public transport a go. As it turned out this was a pretty good move as I heard stories of journey times of 7+ hours getting there on this occasion. 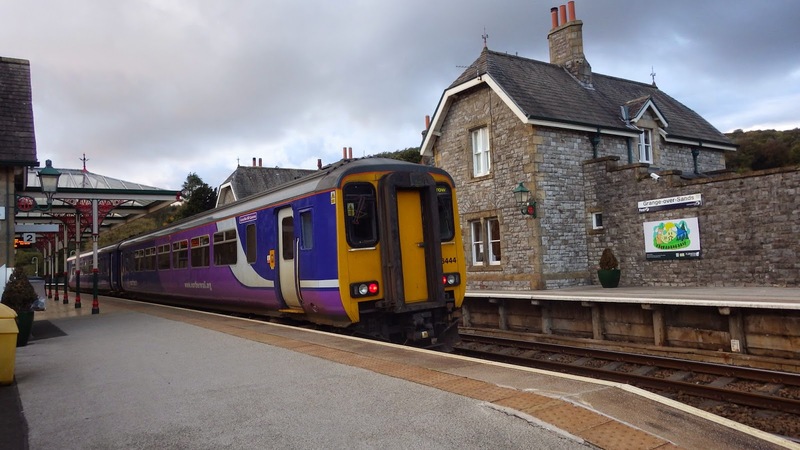 A three hour train journey passed quickly and I disembarked at 17:45 at Grange-over-Sands station. With no taxis in sight I decided to walk the three miles to the school where registration and camping for the event was located. A passing shower gave me a little soaking but nothing much to talk about. Registration done and tent pitched I spent a fairly restless night with the wind whipping around and bands of rain passing by. A 5am alarm call got me up and by 6am I was ready to board a coach for the 1 hour 30 minute journey to the start. Arriving at 7.50am there was very little time to do anything other than start my GPS data logger before the 8am race start came. The weather was pretty good for the Lakes, passing drizzly showers and spells of sunshine with a rainbow appearing right on cue at the start of the race. After the initial climb the pack of 180 or so runners soon spread out and fanned out in several directions once the open route choice section arrived. I chose to contour around and find my way onto the Cumbria Way which dog-legged back on itself and made a definite line feature to follow in to a makeshift bridge which the OA team had constructed to allow a safe(!) crossing of the River Caldew which had swelled to a fast-flowing torrent due to the amount of rain over the preceding days. This section dealt with and it was a long climb up to the top of Blencathra followed by a very dicey, slippery and tricky technical descent of Halls Fell Ridge. Quite a number of us had bunched up again as the treacherous terrain slowed everyone to a snail’s pace. Quite a few people took tumbles here, myself included and the highlight for me had to be a dodgy moment where I (very) nearly went for a swim in a waterfall, saved only by a handful of thick mountain grass to keep myself from sliding off the edge. Why did I leave those bloody poles at home?! I soon recovered and carried on. Things got easier and the bottom of the descent led me into the first checkpoint at Threlkeld where food and drink aplenty was waiting for us along with a large screen display showing all the competitors locations taken from their live tracking units which had been attached to our rucksacks at registration. Already there were some interesting route choices and bizarre locations being shown by the huge map projected on the wall. Just in case anyone fancied a shortcut a reminder of the event’s live tracking! From Threlkeld it was a long climb up and up, eventually leading to the summit of Helvellyn, the highest point of the route at 949m. I found time for a breather and a quick panoramic selfie here with the sun shining and pockets of thick cloud passing through. 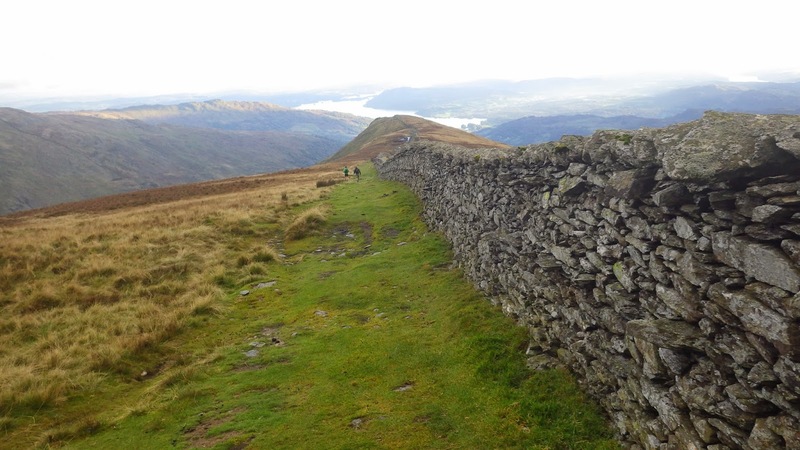 The section from Helvellyn into Ambleside and the next checkpoint seemed to take forever. A long descent to Grisedale Tarn was followed by a very long slog up and over Fairfield. From there a long and boggy descent followed, finally reappearing into civilisation in the familiar surroundings of Ambleside. A quick refuel here and it was already getting dark. Roughly half way and ten and a half hours in! I buddied up with several others at this point for some moral support and conversation to take my mind off the task at hand. 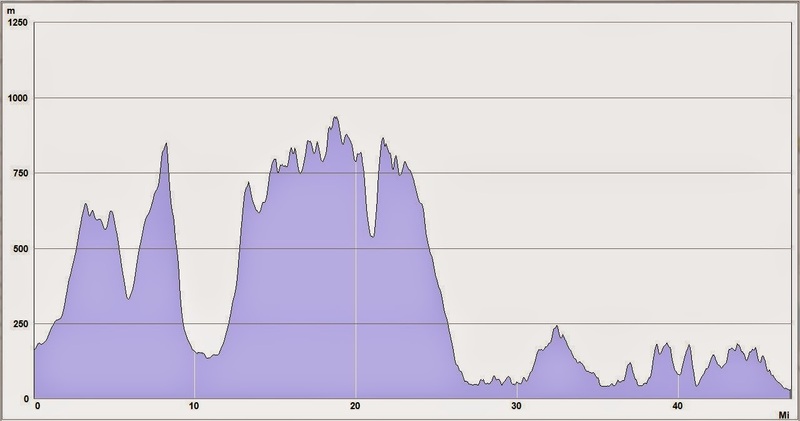 Looking at the climb profile it seemed that this really was a race of two halves with all the big climbs in the first half, however anyone hoping for an easy second half was disappointed as there was still a fair amount of climb, albeit in smaller chunks up and down again and again. I would describe the second half as slightly less of a b*stard than the first half! Navigation was getting harder too, especially in the dark trudging along wooded sections by the shores of Lake Windermere. As the sky had cleared the temperature had dropped and patches of mist were starting to form in the cold valley air. 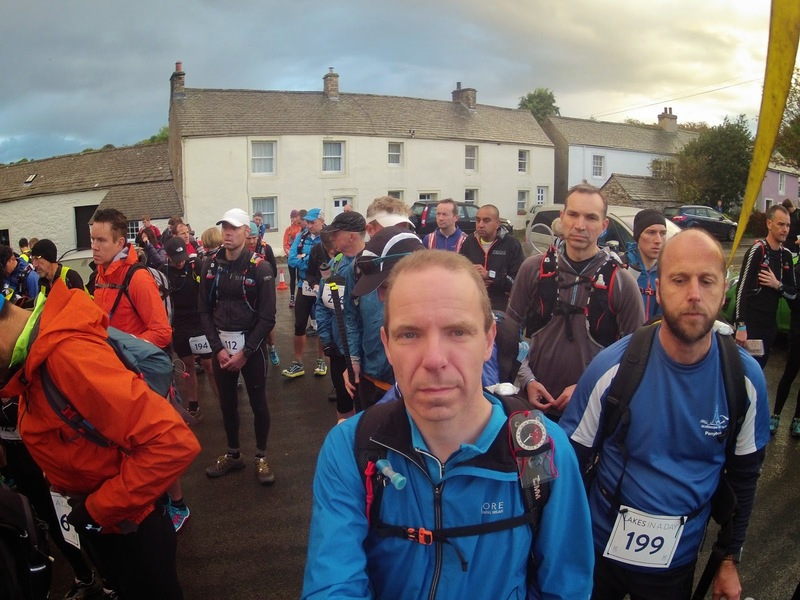 I felt a little sorry for one of the guys I was chatting to as this was his first ultra and he had limited navigation experience. I decided to stay with him as finishing time is not really a major consideration to me and I could help a fellow competitor out. ‘This is way harder than an ironman’ he kept saying and I chuckled quietly to myself. It was hard but the thought of stopping had not entered my head. I was so ‘in the zone’ focussed on the objective of reaching the finish, whatever it took. Finally out of the darkness appeared Finsthwaite Village Hall, the last checkpoint. My energy levels were very low at this point, it was approaching 11pm and I had been moving for 15 hours. 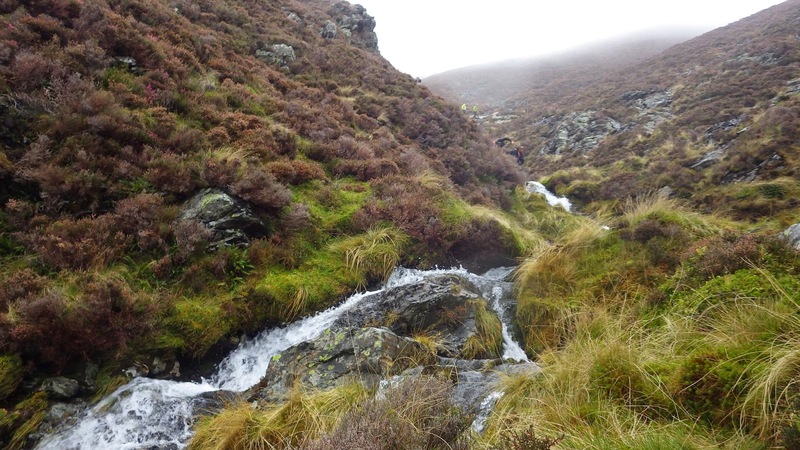 A ten minute sit-down and a bowl of hot soup helped to restore my energy and spirits and soon we were off in a group of four again, walking purposefully towards the finish together.